Conjoined twins Sea and Serene live in an isolated shack in the Australian Alps with Wren, the young man who cares for them. Up among the snow gums they grow their own vegetables and ferment their own wine. Largely self-sufficient, they’ve turned their backs on a world that turned on them. One day, Wren discovers a woman badly injured and unconscious on the side of the road. He brings her home but fears the worst. The twins slowly nurse her back to health like the many birds and mammals they’ve found injured around their homestead. Used to solitude and protected from the judging eyes of others, the household first meets the stranger with fear. The twins worry about her reaction when she awakens to their strangeness and to the outré existence the three of them have carved out. The three slowly prepare themselves for the inevitable moment when sleeping beauty will awaken. This beautiful and unknowable stranger becomes a welcome distraction, bringing a new perspective to the asocial group. But soon enough the new dynamic threatens to break the peace the three of them have cultivated, high up and away from everyone else. The more time she spends there, the more unanswerable questions develop, revealing the tragic pasts of all involved. 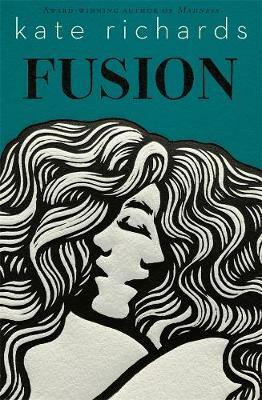 Fusion is a dark Australian Gothic fairy tale in a lyrical mode. At its heart, the novel questions identity, dependence, isolation and difference. Despite a deep vein of grief, loss, and isolation that runs through the novel, it never stops offering an alternative to despair: hope. It is a strange, bold, eerie debut novel from the author of Madness: A Memoir. Michael McLoughlin is from Readings Carlton.